« MBTI: Why Type Characters at All? Number 99 on Entertainment Weekly’s 100 Greatest Characters of the Last 20 Years (#100 is one Tim Riggins of Friday Night Lights and #98 is Lisbeth of Dragon Tattoo, fyi), which says something, being that she’s only in two movies. Her seemingly passive nature offsets her true nature of a vicious killer. Or is she just a product of her environment? Either way, This lady is all Fi and Se. I’ve heard ENTJ at one point. Psh. 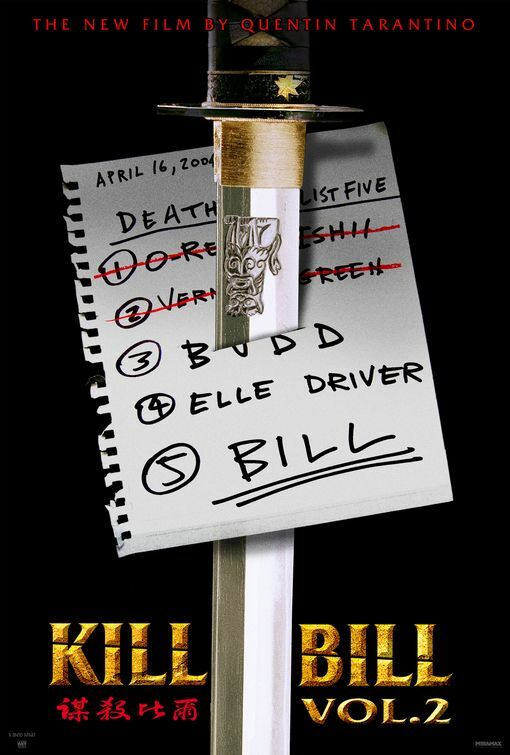 Before being put into a coma by her mercenary “handler” Bill, “The Bride” aka “Black Mamba” aka “Beatrix Kiddo” was an assassin herself. After willingly left alone to train under the ancient martial arts master Pai Mei, Kiddo emerges not only even more skilled than she was even before her training, but now disciplined as well. It’s not easy to type The Bride as it’s not easy to type ISFPs normally anyway, being as reserved in demeanor as they are. Able to hold a conversation about something they know nothing about, alongside their usually friendly disposition, the ISFP isn’t easy to “know.” And neither is Kiddo. She shows herself able to communicate with a wide variety of people throughout the two volumes and it hardly seems an act even with her ulterior motive always at hand. ISFPs are known to be generally likable, able to get along with all types, if the other types allow it. If you watch this scene, you’ll see her “business” side, but in the sense that she straps this guy down and waterboards him to get the information she wants; she just…talks to him. Her Fi is apparent in the fact that before being trained by Pai Mei, her scene with Bill by the campfire displays her obvious attraction toward him leading us to believe that her reasons for joining his DVAS (Deadly Viper Assassination Squad) is not purely for financial gain. ISFPs tend to stay away from leadership positions but don’t particularly care to follow either, so to be more emotionally involved in her boss would make that much more sense for her to agree to her place. ISFP’s dominant function of Introverted Feeling has them searching for careers where they think they’ll be a valuable commodity. They often make it into different fields that involve helping others. From personal experience, ISFPs I’ve known have studied toward a career in nursing. This is, needless to say, a far cry from Beatrix’s preferred employment, but what’s ultimately important to the ISFP is that their work matters, along with being loyal to the people around them and having their own space to work. Clearly, she was loyal (to a fault), had space to work (world-class assassin, baby!) and her work definitely mattered, although her initial reasons for getting involved with Bill remain unknown. Heck, she could have just been a drifter that he met and the two became enthralled with each other. On top of all this, her goal that we see through the majority of the films is of course, her revenge spree. While she may be righting all the wrongs done to her, it’s also righting the wrong done to what she thinks is her murdered, then-unborn baby. A parent is defensive enough, much less a woman that murders for a living and hasn’t even met her kid yet. In any case, she was clearly attached to her work. “I quit!” Would’ve been the perfect line there. Man, Why didn’t I write this? Extraverted Sensing is Kiddo’s most obvious function in a way. Partly because Fi can be a little harder to trace in a master assassin while Se is maybe the bell that rings the clearest. As we went over in the last sole ISFP article in the Metal Gear Series’ Raiden, Se is what allows a person to completely take their surroundings in. Introverted Sensing wouldn’t have necessarily had her being stabbed by her enemies because she took a trip down memory lane because she saw a decapitated head, but Se is what has her reacting quickly to the situation at hand rather than what she’s known. Her battle with the “Crazy 88” is a good example of this as she uses everything available to her, including the reflection on her own sword to count her enemies behind her. Not the selling point, but a little thing that adds up. Heck, man, she learned the Five Point Palm Exploding Heart Technique, something Bill didn’t even get to learn. That’s skill, and likability (the only two reasons Pai Mei taught her). The Bride, vengeful though she may be, is also shown to be somewhat forgiving. From attempting to keep her victim’s daughter from seeing her mother murdered to spanking a clearly way-too-young-for-the violence gang member and sending him home to his mother, ISFPs are naturally peaceful. She quits her last mission when she finds out she’s pregnant and after all is said and done, she cries for Bill and possibly the many others she’s killed. Probably just Bill, but still- you don’t see Wolverine giving his victims that kind of thought. 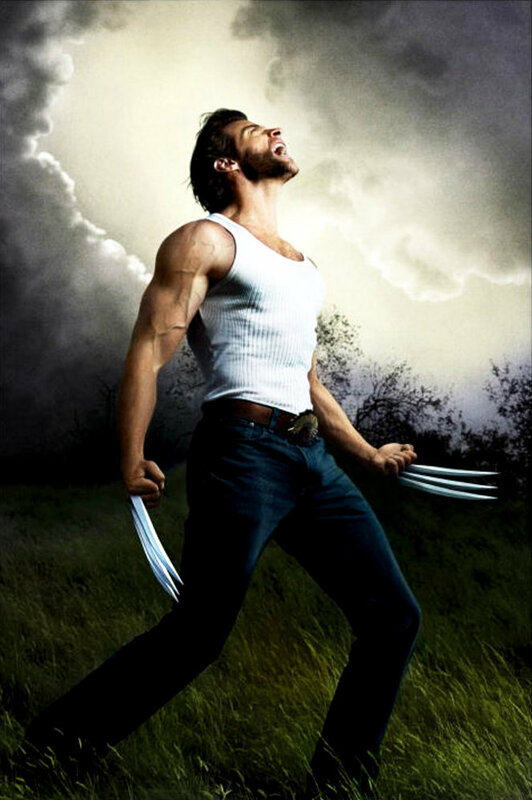 Okay, maybe Jackman’s Wolverine. ENTJ would have the Bride speaking loudly and abruptly to those around her, thanks to their dominant Extraverted Thinking. While ENTJs themselves come across as likable (to those they don’t run over), their way of dealing with things would have been much more of a force to be reckoned with, in reality and fiction, as opposed to ISFP’s “one against the world,” going in as many back doors as possible. This entry was posted on 08/15/2013 at 2:24 am and is filed under MBTI Artisans, MBTI Stuff with tags beatrix kiddo, isfp, kill bill, the bride. You can follow any responses to this entry through the RSS 2.0 feed. You can leave a response, or trackback from your own site. Bravo! I completely agree. I can tell you really love what you do and you’re good at it. Thanks! I had to look twice to make sure I wasn’t reading spam- they’re usually the nicest ones on here. But loving what I do and being good at it is a goal, so I’m glad it comes through. I feel compelled to respectfully question your typing. I’m pretty sure Beatrix is an ENFJ. She doesn’t seem introverted to me; she may has no friends and doesn’t speak very much during the movie(s) but she is very laid back in conversations and does not avoid people as an introvert might would do. She is definitely an intuitive, the way she speeks gives that away. She is also, although angry, a compessionate person. She spares young people several times and is motivated by a very strong emotion; revenge. But she likely represses her empathy and therefore appears to be a dominant thinker (ENTJ). Beatrix is also persisting (practises toe-wiggling for thirteen hours, endures Pai Mei’s training, finishes her ‘to do list’ etc.). A perceiving person would may have more trouble to keep up with these goals/ would be more likely to give up/would act impulsive and go with the flow (which Beatrix doesn’t. She hunts her enemies down, one by one, in a strategic non-impulsive approach.). On the campfire with Bill Beatrix is portrayed as the naive yet to develop protegé. It may just demonstrates how much Pai Mei’s training shaped her as a person.